Queens ended their 2015/2016 Labrokes Championship campaign with a 2-0 defeat to play-off hopefuls Hibernian at Easter Road. 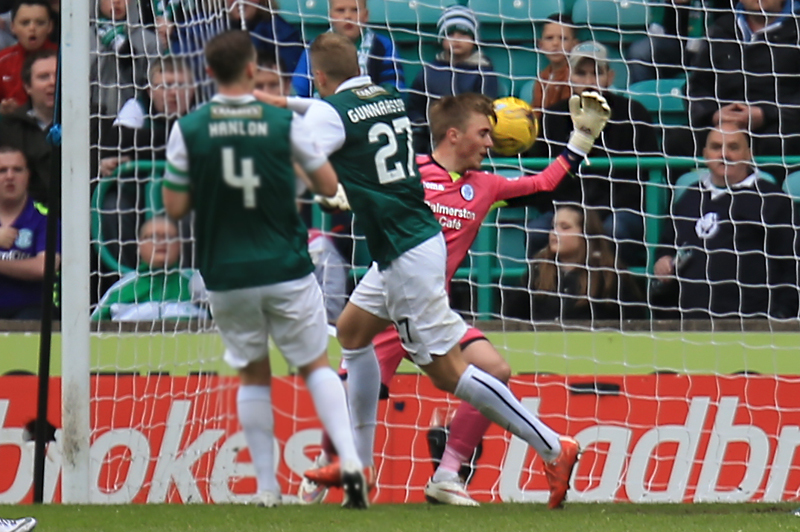 After Mark Millar was sent-off midway through the second-half, Hibs made sure their numerical advantage paid off thanks to goals from Niklus Gunnarsson and Jason Cummings. Caretaker manager Gavin Skelton made two changes to the starting XI that comfortably beat Livingston 3-1 last weekend. Kyle Jacobs and Darren Brownlie came in for Jordan Marshall and Andy Dowie. 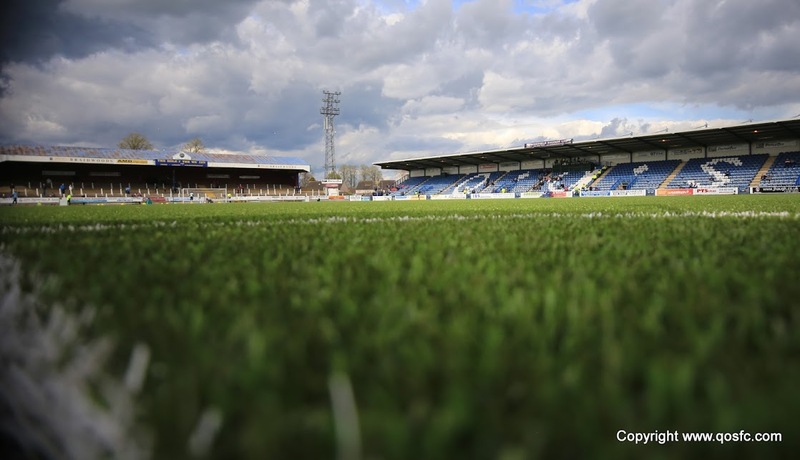 With fifth place still in reach for The Doonhamers they were looking to end the season on a high, whilst the hosts were hoping for a win and a slip-up from Falkirk to finish the season in second position, meaning two less play-off games to play. It was Alan Stubbs` side who had early chances to break the deadlock early on but Queens goalkeeper Jim Atkinson had other ideas, as the youngster pulled off several superb saves. First up to try and open the scoring was on-loan Liam Henderson but his shot from eight-yards out was parried by Atkinson. The keeper was called straight back into action, as the ball rebounded to the advancing James Keatings and Atkinson had to be on his toes to catch the strikers header. 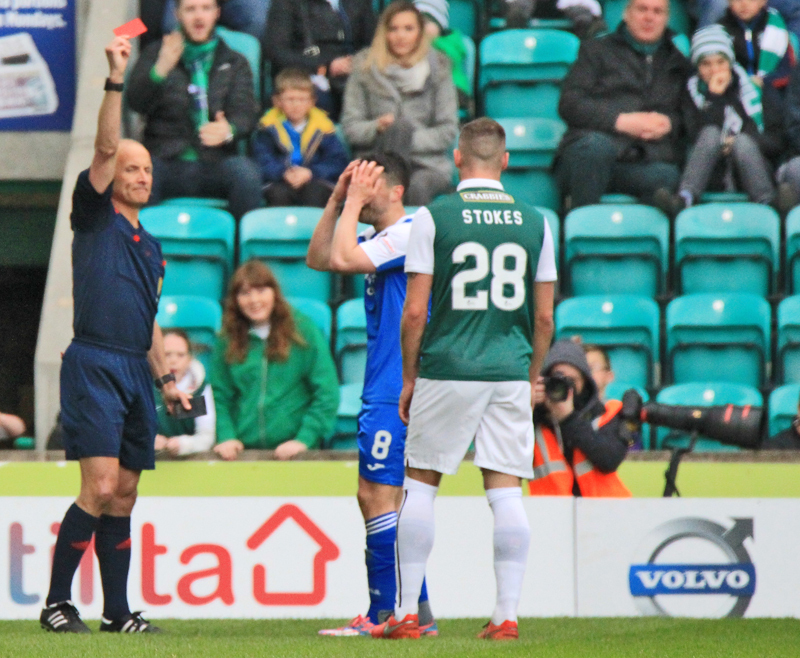 The home side continued to push forward for the opening, Anthony Stokes and Liam Fontaine having long-range efforts but both attempts failed to test Atkinson in the goals. Atkinson was put into action on 20 minutes as Keatings timed his run perfectly but again his looping shot was met by the Queens keeper, who was already having a busy afternoon. 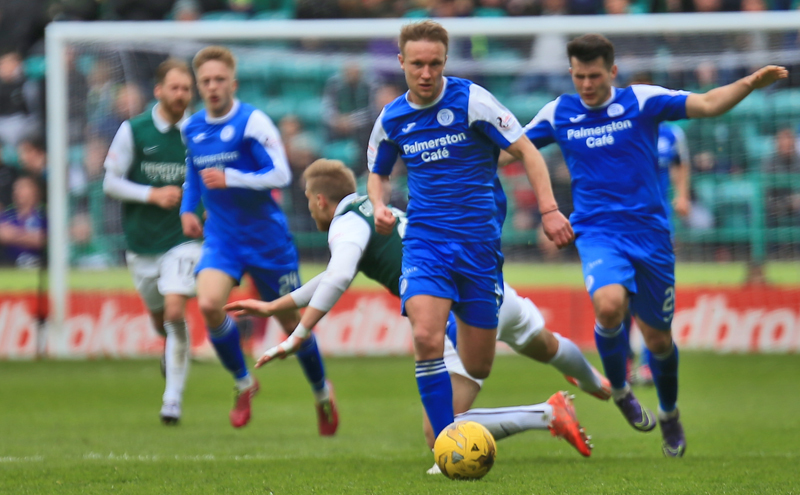 The visitors began to get into the match and with 34 minutes on the clock, Queens had their first half-chance of the match as they counter-attacked from a mistake in the Hibernian midfield. Dale Hilson gathered the ball, sprayed the ball across to Mark Millar and the midfielder looked up and squared to Gary Oliver but the former Hearts man blasted his strike high over the crossbar. Moments later the hosts were back on the attack, Henderson was again causing problems for Queens` defence and his inch-perfect pass found Stokes but the strikers shot was saved by Atkinson. 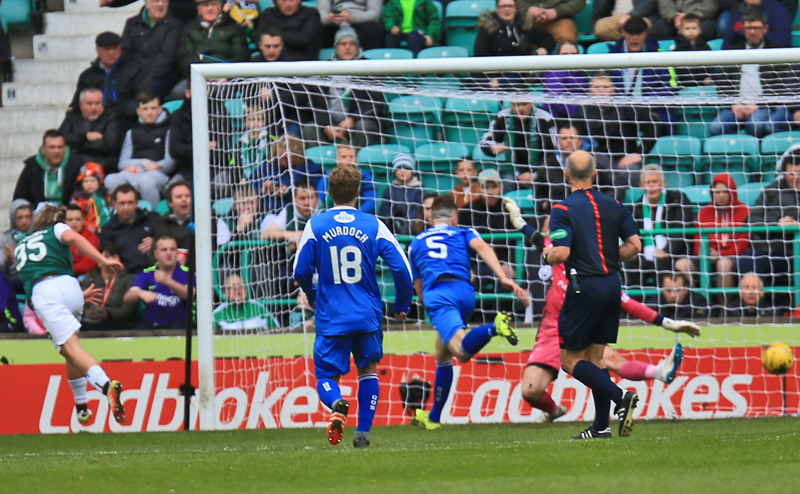 Four minutes later, it was Henderson who was next to try and break the deadlock with a superb curling effort but was just past the post, with Martin Boyle just inches away from making contact and almost certain to give the Hibees` the lead. With only three minutes left of the first period, Queens looked to have survived the storm but there was one last push from the hosts as John McGinn curled a strike but Atkinson managed to get down to his right and parried the ball away. Queens made their first substitution of the afternoon, Kyle Hutton coming on for Callum Tapping. The second-half started in the same style as the first, the hosts looking likely to open the scoring. Keatings played a one-two with Boyle to go through on goal, however Atkinson managed to tip the ball wide for a corner kick. Queens were reduced to ten men for the final 35 minutes, as Mark Millar fouled McGinn as he looked to have got away from him. Referee George Salmond wasted no time to produce a red card. Straight away Skelton made his second change of the match, Andy Murdoch replacing Derek Lyle, and joined Kyle Hutton in the heart of the midfield. Murdoch was only on the pitch for less than a minute and after bringing down the advancing Henderson and received a yellow card. The hosts were making sure of their numerical advantage and were pressurising the stubborn Queens defence and were finally rewarded as they took the lead in the 67th minute. Henderson got in behind the Queens defence and cut-back to right-back Niklus Gunnarsson who bundled the ball over from close-range. 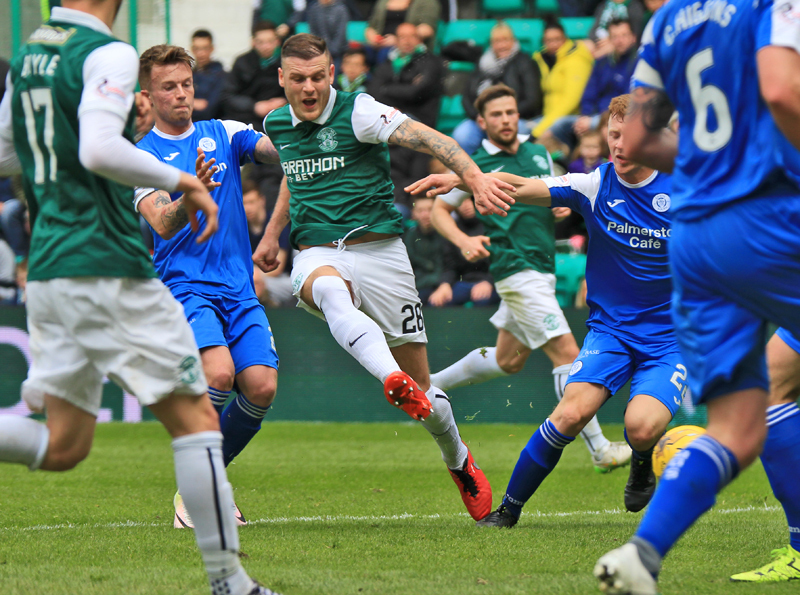 Hibernian were looking for more goals, especially since play-off rivals Falkirk were leading against Morton and with 12 minutes to go they found their second of the afternoon. Boyle made a great run past Hooper and his cross from the right-hand side was headed in by Jason Cummings. Cummings could have added his second and Hibs third a minute later, but he blazed a shot over the bar from 20-yards out. Stokes had a chance from just inside the box but was held by Atkinson. 12:21 Two changes for Queens today. Kyle Jacobs and Darren Brownlie come in. 6 min Henderson`s shot is parried by Atkinson and then catches Keatings header. 9 min Early pressure from the hosts but a long-range shot from Stokes is saved by Atkinson. 17 min Keatings times his run well and beats the offside trap but his shot is straight at Atkinson. 22 min Fontaine fires a shot from 20-yards out over the bar. 35 min Millar squares to Oliver but he blows his shot over the bar. 40 min Henderson finds Stokes who gets away a shot but again Atkinson is on hand and saves. 43 min Henderson finds space just outside the Queens box and curves a great effort just past the post. 45+1 min Stokes tries his luck from 35-yards out but drags his strike wide. 45+2 min McGinn`s curling effort is parried away by Atkinson to keep it 0-0. 48 min Fyvie has a shot from 25-yards out but drifts wide. 50 min Atkinson makes a superb save to deny Keatings. 54 min Millar sent off for a late challenge on McGinn. 58 min Hibs putting a huge amount of pressure on the ten men of Queens but The Doonhamers are managing to keep them at bay. 64 min McGinn`s long-range effort deflected out for a corner. 67 min Gunnarsson taps in from close range to give the hosts the lead. 69 min Cummings breaks forward and fires at shot straight at Atkinson. 81 min Cummings heads home to double their lead and he nearly makes it three moments later but his shot is just over the bar. 90 min Stokes long-range shot is caught by Atkinson.